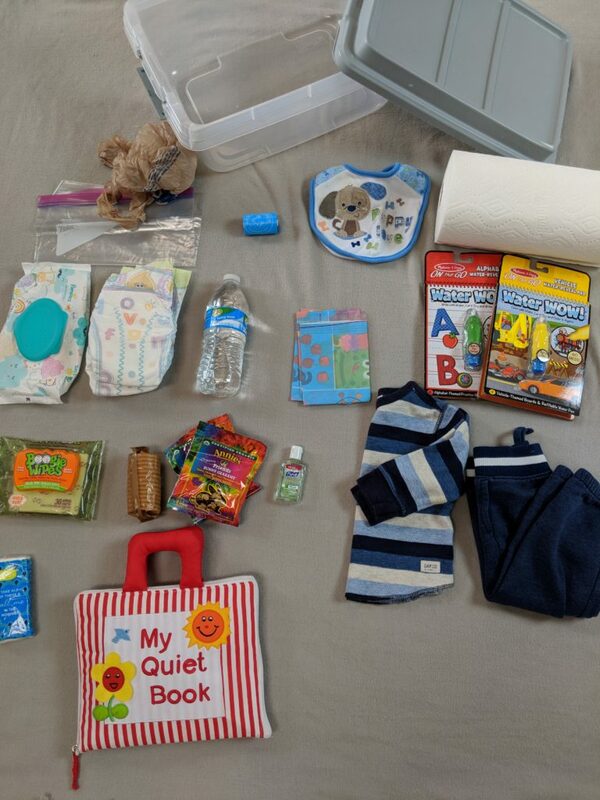 When I was pregnant with Ben, I put together a little box to keep in my car with some baby essentials. Now that I have two toddlers, there are twice as many things that could go wrong while travelling! I updated my box to better fit our needs and created a little checklist that will help you put together your own little box. I keep the box in the floorboard of the back seat so it is easily accessible in an emergency! You just never know when you might need it. 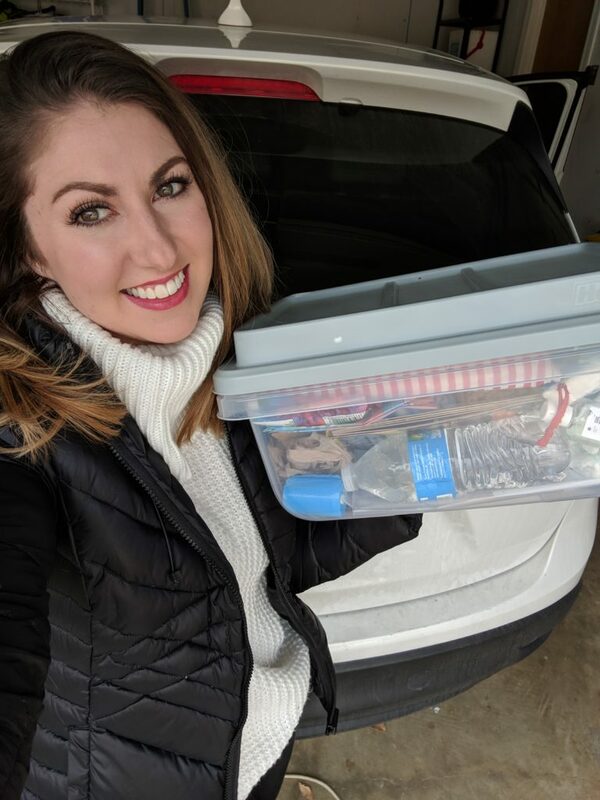 I chose a Hefty bin since it is durable and mostly waterproof just in case something spills in our car. This would be a great baby shower gift idea and you could personalize the box with the baby’s name or family name and have it packed and ready to go for the new parents. Most of these things are personal preference but I totally recommend having paper towels in your car at all times. I picked this up from my mother-in-law and it has been a life-saver more than once. If you haven’t tried Boogie Wipes on your kids (or for you if you have a cold), you should. It is gentle and helps wipe away dried nastiness on your kids faces. You can find them here. We don’t venture out to restaurants all that often because not everyone appreciates the sounds of two toddlers trying to see which one can be louder in public, but when we do grace the masses with our presence, we take these disposable place mats. It helps keep the table protected from the kids and keeps germs at bay too. 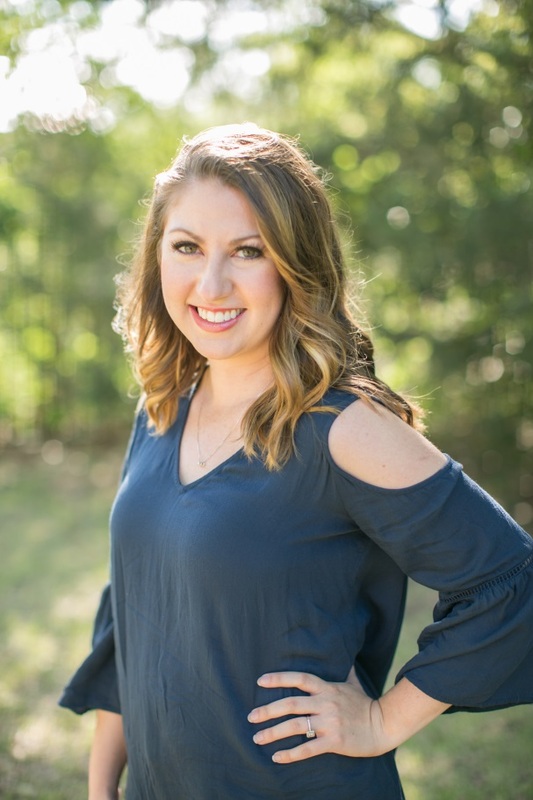 It wouldn’t hurt to keep a few in your purse or diaper bag as well! The boys are pretty good little travelers and can be entertained with a movie on the tablet for a while. If the batteries run down, we are in trouble! I know they love these little Water Wow! paint books and it keeps them happy for a little while. Another thing that I think we have some growing into is the “My Quiet Book”. It is full of quiet activities like buttons, snaps, velcro and zippers that help focus energy on something else for a little bit. I found similar ones here and here. 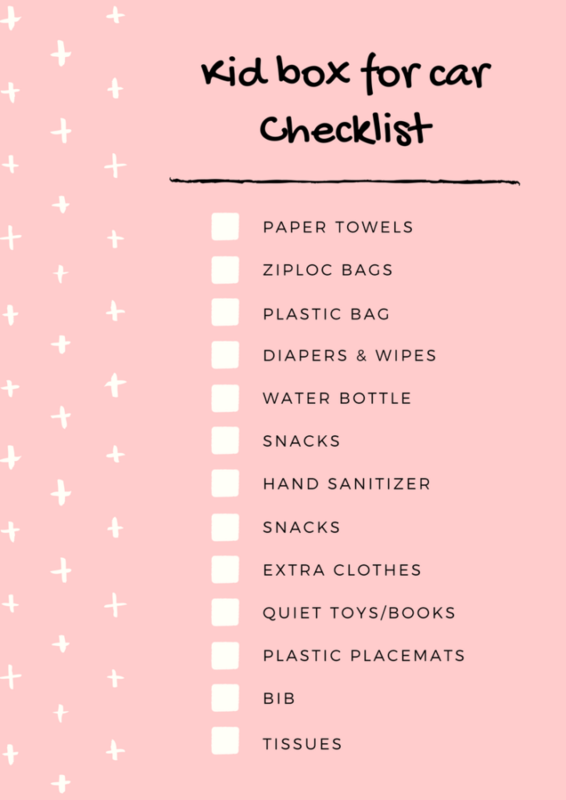 Checklist for KidBox Printable <– Get your printable version here! 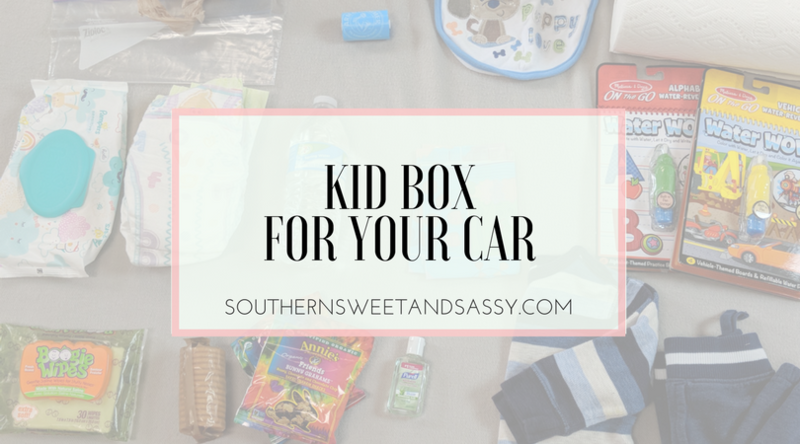 Have you made a box like this for your car? What do you have in yours? Let me know in the comments below!